Their names are Stevie Jankowski, Liam Jacobs, Jordan Pollard, Isaiah Fort, Reese Griffin, Kade Amster, Julie Jordan, Abby Burdick, Cody Alday, Tessa Marandola, Alyssa McKay and Andre Bergeron. They are the voices of Plainfield High School. 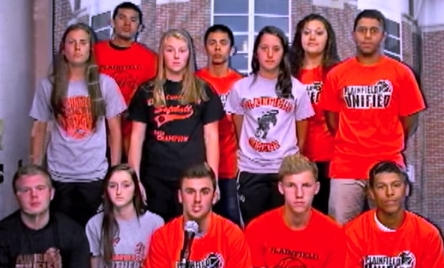 They are the voices on a You Tube video produced earlier this week, in the wake of the racial slurs that provoked a fight, following last Friday’s football game against New London.